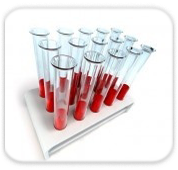 B My Supply, Inc. is your high quality, low cost supplier of drawdown charts, applicator bars and lab supplies. We are benchtop chemists and quality assurance personnel, who have developed our own proprietary line of drawdown charts. Our charts are available in all common sizes with or without sealer. Our line of drawdown bars are simple, and durable. Our glass drawdown plate is of the highest quality, at a cost much lower than our competiton. We offer aluminum dishes, mixing sticks and other lab supplies. Items are in stock for immediate delivery. Call or browse our catalog to place your order now.